Hailed as The Awl’s 2012’s novel to anticipate, this glorious debut stars hippie detectives, a singular city, and an MFA student on the run. On a residential Bay Area block struggling with the collision of gentrifier condos and longtime residents, stymied recent MFA grad Philip Kim is sleeping the night away when bullets fly through a window in his apartment building and end up killing one of his neighbors. Philip only learns about the murder the next day when bored and Googling himself. But when he gets caught up in the investigation and becomes the focus of an elaborate, violent scheme, he will learn far more than he ever wanted to about his former four-eggs-at-a-time borrowing neighbor Dolores Stone, aka “The Grey Beaver,” and her shocking connections to an underworld only a city like this one could create. Siddhartha “Sid” Finch, a homicide detective bitter about everything except his gorgeous wife, and his phlegmatic, pock-marked partner Jim Kim, land the case. Sid and Jim race after Philip through a menacing, unknowable San Francisco fending off militant surfers, vaguely European cafes, and aggressive Advanced Creative Writing students as they all try to figure out just who’s causing trouble in this city they love to hate. 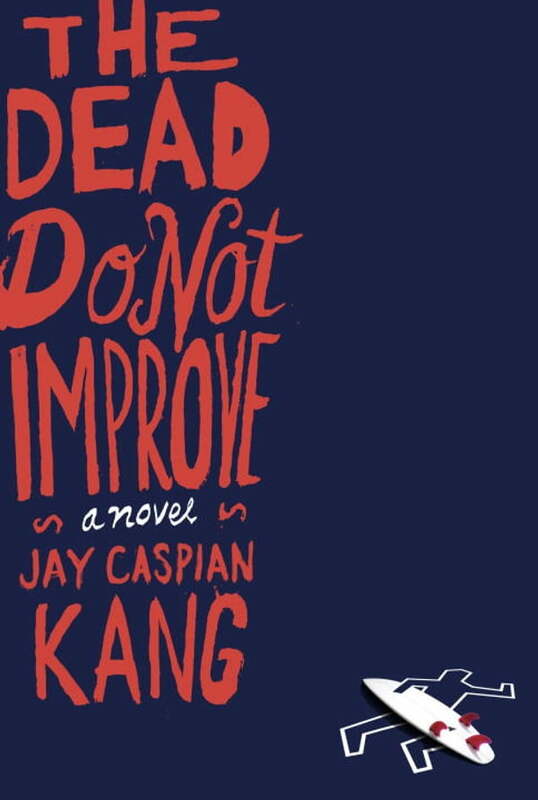 Exceedingly unique, pulsing with vigor and heart, and loaded with fierce, fresh language, The Dead Do Not Improve confirms Jay Caspian Kang as a true American original as obsessed with surfing and surviving as with the power of unforgettable storytelling.